Firemint confirmed on Friday that its award-winning racing title for the iPhone, Real Racing ( ), is coming to the iPad later this week. Initially rumored to be one of a slew of launch titles for the iPad that were leaked earlier last week, Firemint issued a brief statement on Friday to confirm the game's release. Firemint still hasn't released any screen shots or a formal press releases detailing the game's specifications or pricing, but iPad gamers should hope the quality approaches the initial Real Racing release. Real Racing (and its lite version, Real Racing GTI) has been recognized several times for its excellence over the last year. The original title was praised for its high-end graphics, intuitive accelerometer based controls, and extensive multiplayer capabilities. It will be especially interesting to see how Firemint is able to translate the control scheme to the new platform. 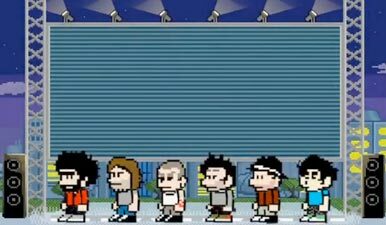 Meanwhile, rap-rock icons Linkin Park announced on Tuesday its own iPhone, iPod touch, and iPad adventure game entitled, 8-Bit Rebellion. Developed in conjunction with Artificial Life, the game features original songs by the band, 8-bit remixes of their greatest hits, new artwork, and the band members themselves as characters. While many iPhone apps have claimed loose ties to certain artists, 8-Bit Rebellion looks to very much the brainchild of Linkin Park. In fact, Artificial Life's press release reveals that the band members were involved in every step of the process, from the story to the art to the scoring. "The collaborative process with Artificial Life was exceptional," explained Linkin Park vocalist Mike Shinoda, "They were able to turn my sketches and our creative ideas into a living, breathing world that we think gamers will thoroughly enjoy...My bandmates and I grew up playing games like Metroid, Donkey Kong, Zelda, Space Invaders, Mega Man, and Rygar. We wanted this game to have the feel of a vintage game, and a big part of it was the music." Featuring an exclusive song that is unlocked upon completing the game, as well as a wealth of online features such as message boards and in-app messaging, 8-Bit Rebellion looks like an app to watch. No release date and price point have been set, so it's unlikely that Linkin Park fans will be able to get their hands on this app when the iPad first launches. In the meantime, you can watch the 8-Bit Rebellion trailer. The iPad's larger interface lends itself to games with more complex controls and larger views than your typical mobile device, and developers like Gameprom are taking advantage of it. 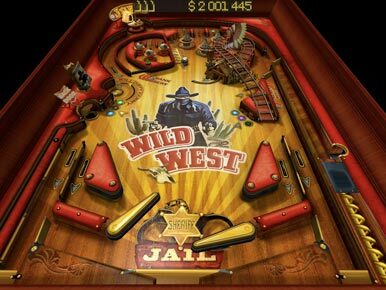 Gameprom, behind many pinball games on the iPhone including Jungle Style Pinball and Wild West Pinball ( ), has announced that its game, The Pinball, will be launching for the iPad and Mac OS X in the coming weeks. The game will feature 3D graphics, realistic physics, table-shaking with the help of the acceleration indicator, multiball, and many social features like leaderboards. The iPad's larger screen and weightier feel will hopefully translate to a more familiar and fun experience for pinball fans. Thanks to Gameprom, pinball wizards don't have to venture to the local arcade or bar to play their favorite game-the iPad will let them play anywhere. Puzzle games are also hoping to take advantage of the iPad's increased versatility, and Bulkypix hopes to launch its first iPad title in a matter of weeks. 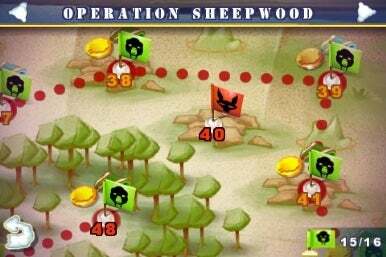 Saving Private Sheep is a physics-based puzzler where you'll aid sheep in their war against the lupine "bloody baaarbarians." You'll use your finger to destroy obstacles and guide sheep through hazardous war-torn maps as part of operation "Iron Wool." With 80 increasingly difficult levels, cartoonish graphics, quirky humor, and social features provided by OpenFeint, Bulkypix is hoping this will be the first breakthrough puzzle app on the iPad.